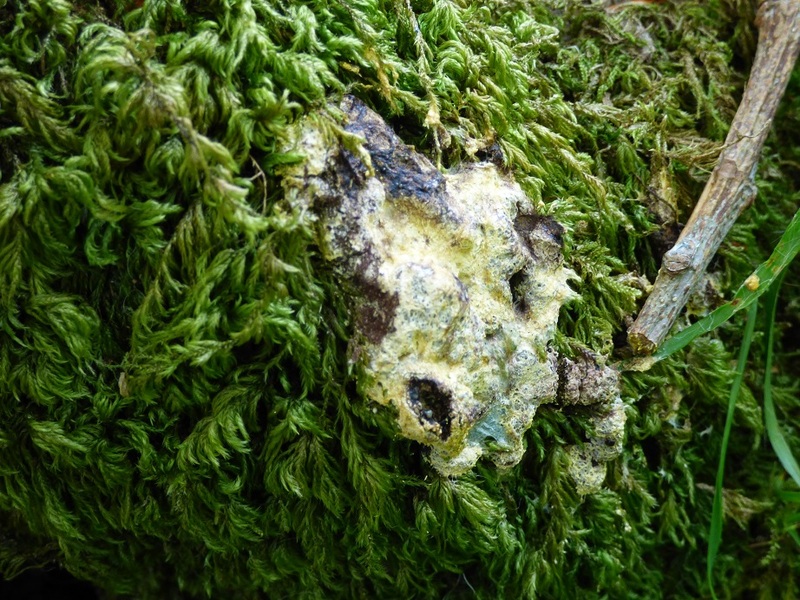 Walking down the path from the stiles over the railway, a splodge of yellow at the base of an oak caught my eye. I've seen it before at the top of a mountain but not so close to home. I'm almost certain it's Fuligo septica a.k.a. 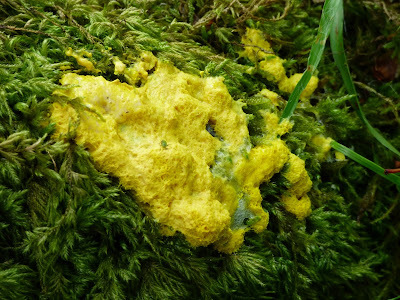 Dog's Vomit slime mold. 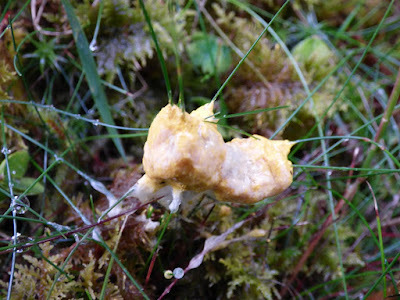 I'll keep an eye on it to see how it develops over the next few days; should go brown before dispersing its spores. Dog's Vomit with green aphid. Yummy! And below is what it looked like 48 hours later. Below is another specimen found nearby a couple of days later.